Magnesium citrate is a compound of magnesium carbonate and critic acid that is advertised as a nutritional supplement that cures magnesium deficiency. Magnesium is an essential mineral that is needed for over 300 enzyme reactions in the body and is needed for the proper function of the heart, muscles and kidneys. Foods such as leafy green vegetables, nuts, legumes and whole grains are a good sources of magnesium. This is where magnesium citrate supplementation steps in to counteract and stop the flow of these ailments caused by magnesium deficiency. The question is how and why does magnesium citrate impact on these deficiencies? Well, magnesium citrate is one of the more ready absorbable forms of magnesium and it has many powerful and healing properties. 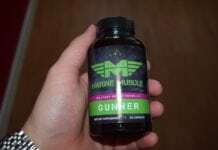 In fact, it has the quickest absorbable rate of magnesium through the small intestines and surprisingly has many benefits for such a lesser known supplement. Magnesium citrate is very important for muscle relaxation and it also helps to reduce stress, muscle tension and sleeplessness. Low levels of magnesium will stimulate brain-activation neurotransmitters, which lead to over stimulation of the brain. Therefore, a deficiency in magnesium can lead to insomnia and day-time sleepiness. Research has shown that by tackling magnesium deficiency with magnesium citrate can produce a good quality sleep. Both quality and quantity of sleep are as important as each other and the main aim is to achieve a good night’s sleep that is uninterrupted. A good night’s sleep can boost your physical health, emotional well-being, mental alertness and sharpness. Magnesium citrate will not only treat insomnia and sleepiness by tackling the magnesium deficiency, but it will also combat the tiredness associated with the deficiencies. This will promote a better quality and uninterrupted sleep, reduce tiredness and improve your overall quality of life. In terms of a quality and uninterrupted sleep, research has indicated that by consuming 300 milligrams of magnesium citrate was shown to be very effective as treatment of nocturnal leg cramps. This problem is often distressing, can impact on the quality of your sleep and can have an adverse effect on the quality of your life. Magnesium Citrate regulates the hormone melatonin and it is this hormone that helps you to have a restful, uninterrupted and quality night’s sleep. Melatonin is a hormone made by the pineal gland in the brain, it controls the wake and sleep cycle and natural levels tend to drop with age. During the night time melatonin levels should be higher than during the day, with light affecting how much melatonin is produced. In addition, a good night’s sleep will reduce your cortisol levels, help you to rest and recuperate properly, increase human growth hormone levels by over 400% and improve blood glucose utilisation. Therefore, is ‘magnesium citrate indirectly associated to boosting energy levels and improving your muscle building potential through you having a good night’s sleep?’ Well, absolutely yes! Can Magnesium Citrate directly boost energy? By supplementing with magnesium citrate will ensure that all of your cells in the body are performing at their optimal level. Remember that magnesium intake is essential for over 300 enzyme transactions within the body, which is needed for major organs, nerve function, vessels and fluids to all function properly. If one of the body’s systems is out of sync with another, then energy production will be flawed, and this is critical especially when resistance training. Magnesium citrate is a supplement that acts as a catalyst and supports energy production within the cells. Therefore, does magnesium citrate boost energy directly? Most definitely yes! Especially if you are showing signs of magnesium deficiency that have been mentioned previously! Some current research investigated the impact of supplementing 350 milligrams of magnesium citrate on a cohort of subjects that regularly suffered from migraines without aura (this is the most common form of migraines). The results indicated that the cohort suffered a significant decrease in the frequency and intensity of the attacks compared to the placebo group. The research concluded that the reduction in the migraine could be attributed to a reduction in stress levels and anxiety, as magnesium citrate does help you to have better control of the ‘fight’ or ‘flight’ response. Too much stress is a silent killer and the hormone that is the route to many serious issues within the body is ‘cortisol’. How much Magnesium Citrate should you take? To be in the safe range of dosage, adult women should take 320 milligrams of magnesium citrate per day and men should consume 420 milligrams of magnesium citrate per day. By keeping within these ranges should avoid all of the above side effects. However, if you do feel slightly unwell after supplementing with magnesium citrate then don’t hesitate and seek medical advice immediately.